A CAKE TOPPER THAT CAN’T BE FOUND ANYWHERE ELSE! 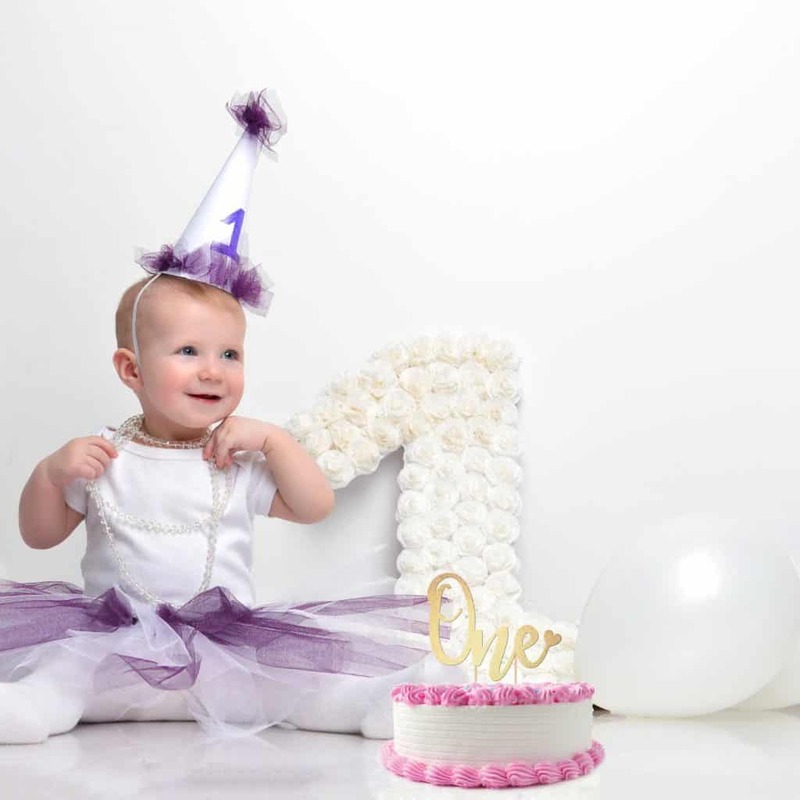 – Our exclusive 1st Birthday Cake Topper is designed in the USA and is truly one of a kind! It features a unique design with premium quality cardstock glitter paper that doesn’t leave a trade or residue on the cake or in your hands! 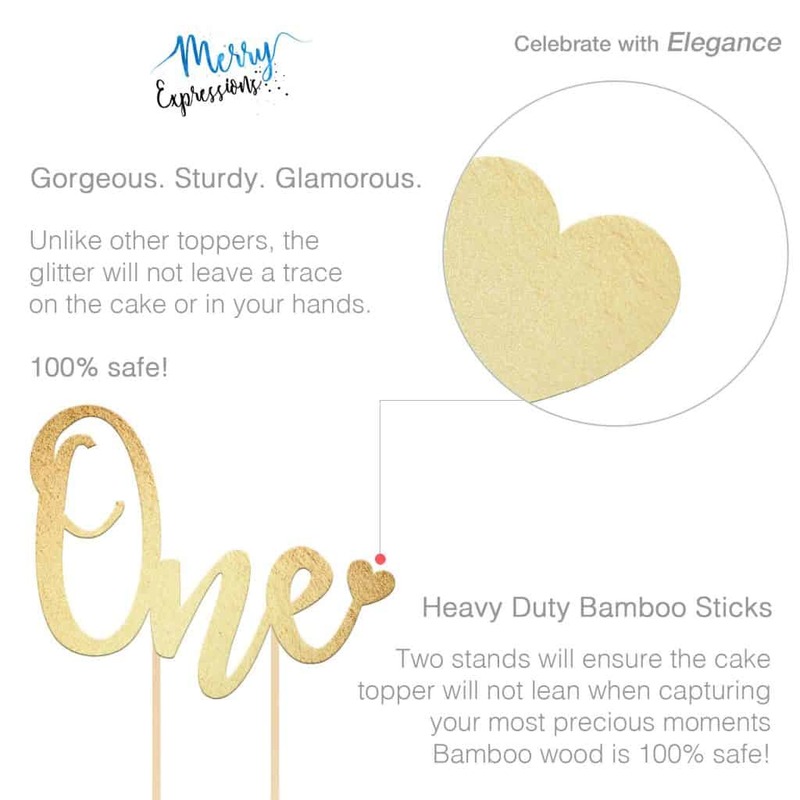 Plus, it comes with a bamboo wood pick which is 100% safe to touch your cake! SPARKLING & GLITTERY PARTY DECORATION! 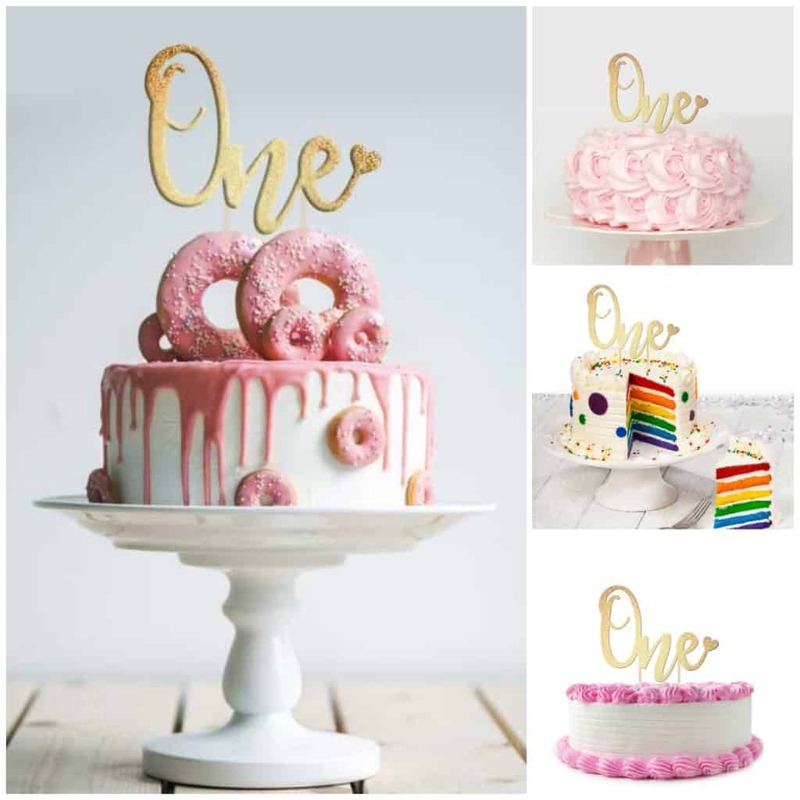 – Regardless of the theme of the party you’re planning, our birthday cake decoration is simply as adorable as it gets, perfectly suitable for little boys and girls! The size is great for a smash cake a classic birthday round cake or even a large cupcake! 100% SAFE FOR YOU, YOUR FAMILY & YOUR GUESTS! 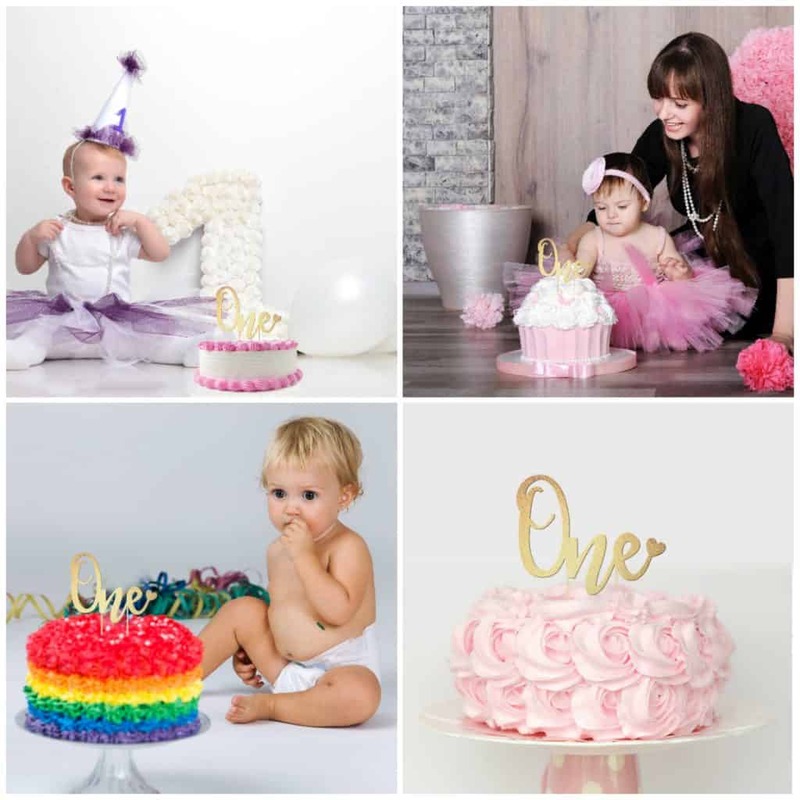 – This adorable first birthday cake topper is inevitably going to touch the cake you are going to eat which is why we have made sure it is 100% safe. In fact, all the materials used for the construction of this cake topper are nontoxic and harmless for both adults and children alike! Simply place this gold cake topper on your cake with zero worries on your mind! HEAVY-DUTY, DOUBLE-SIDED CARDSTOCK PAPER! – Something going wrong during your little angel’s first birthday is every parent’s worst nightmare. That’s why we have designed our ONE cake topper using heavy-duty, top-quality, double-sided 40pt cardstock paper and powerful glue to bind the topper to the bamboo stick. Overall, this is a premium design that will NOT fail you! LOVE IT OR YOUR MONEY BACK! – Our company, Merry Expressions, stands for love and joy. That’s why we want you to get in touch with us if there ANYTHING wrong with your cake topper and we’ll refund every penny. If you prefer, we can also replace it as per your request!